Users of CATIA V5 and CATIA 3DEXPERIENCE can convert their CATIA models into Measurement Plans, correlating CMM programs and measurements with the same points in their CAD model. The Add-on module 3DCS Inspection Planner gives engineers the ability to quickly generate inspection and measurement plans from CATIA and 3DCS points. 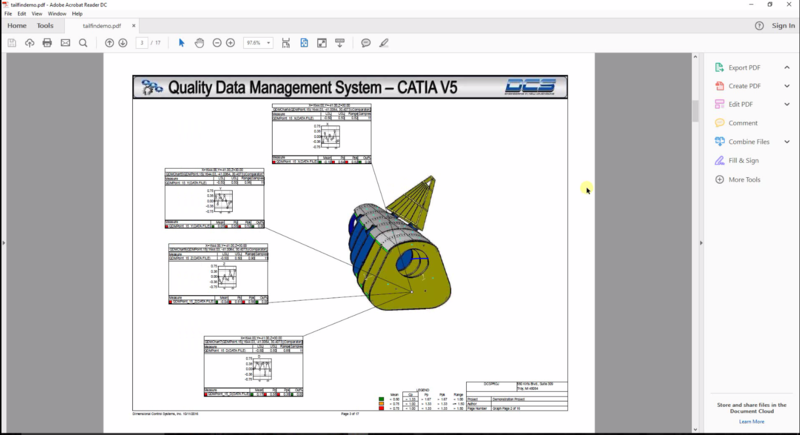 Built on the QDM ANALYST engine, the integrated tool takes points from CAD, and creates report templates for measurement data, as well as full inspection plans to be used on the shop floor. Join DCS experts and ETA China in Shanghai this November to meet other professionals and learn about the applications and tools for tolerance analysis.